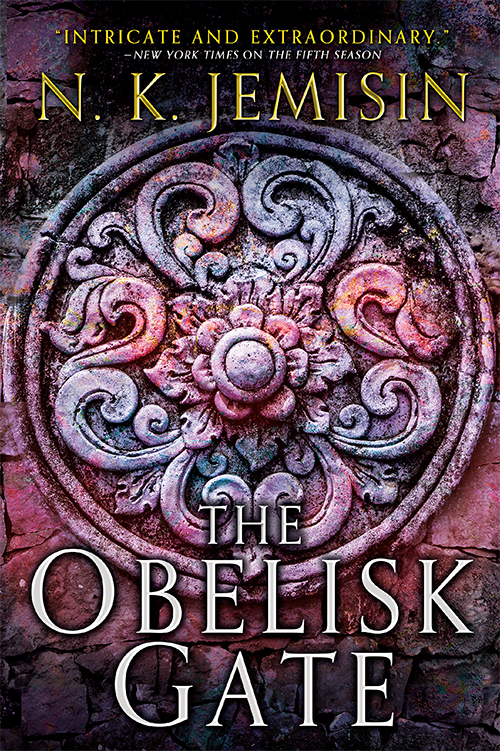 Well, it’s just about a month until The Obelisk Gate releases in print and ebook — August 16th in the US, August 18th in the UK, no idea why it’s different — and per my usual pre-publication tradition, I’m now posting the uncopyedited first chapter of the book for people to peruse (and if you like, preorder)! Alas, I have no information yet on the audiobook version, or whether it will again be read by the amazing Robin Miles. Normally I would post the second chapter a month later, but I’ve belatedly realized that Amazon routinely includes the first two chapters in its “Look Inside” previews (I previously thought it was only one), so that would mean me posting uncopyedited text when a beautifully-formatted, copyedited version of the same material is also available, which makes no sense. So this will be the only one posted here at Epiphany. Please don’t discuss spoilers online, for the sake of folks who would prefer not to read the preview! Will there be signed copies I can buy or having a release day signing? I’ll probably do signed pre-orders through Word Books, as I’ve done before. Let me see if they’ve got a website up about that yet. I’ll update this post if so. I pre-ordered in February and hoping the audio will get there to go with my Kindle version. I can’t decide if I’m going to read or not, but as a ‘patron’, the temptation level remains high. According to Amazon, I pre-ordered the ebook back in June and am really looking forward to reading the next book. Since that’s the day I’m flying to Kansas City for Worldcon, I’ve got my airplane read already picked out. I’ve been a lazy reader this last year, I raced through the GoT books and didn’t make time to read anything else. Plus I had a daughter so time was scarce! 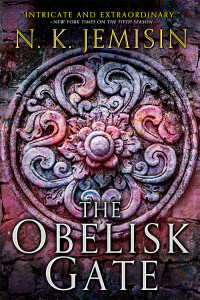 Today theverge.com did a little list on the best Sci fi and fantasy coming out in August and of course you were on it. I realized how much I missed your writing, the creative aspects of your world building hasn’t been forgotten since I read The Narcomancer. Do let me know if there is any other place I should be purchasing your book to support you the most; digitally mind you. Librarians buy books. When a book gets lots of requests for Interlibrary Loan or a wait list, they buy more books. When an entire library system for a city buys more books, that’s a lot of books. :) Granted, I would make more money if all those people were buying books instead of sharing them, but given that a lot of people use libraries because they can’t afford to buy books, and otherwise they either wouldn’t read it or they’d borrow it from someone who isn’t going to buy more books to meet demand… I’d rather have some money than no money. N.K., you don’t know me, but we’re fellow Launchpad alums. Anyway, my wife and I both loved the Fifth Season in audiobook, and can’t wait for the next one in audio. The reading by Robin Miles was astoundingly good, and I hope you get her for the Obelisk Gate, also. I am very much looking forward to this upcoming book! You have quickly become one of my favorite authors over the last few months (I read The Killing Moon and then read until there weren’t any more of your books left!). Do you ever do public readings at bookstores or other events? I’d love to stay in the loop and try to attend one if you do!